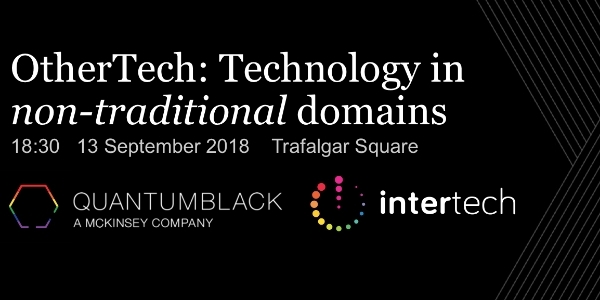 Intertech & QuantumBlack (a McKinsey data science consultancy) are delighted to invite you to QuantumBlack's Trafalgar Square office for an evening discussing how tech is being embraced in industries that typically aren’t associated with disruptive tech. We will be exploring how the power of tech and data-driven decision making is impacting such organisations. 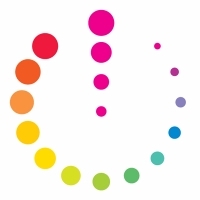 Our speakers are LGBT+ digital specialists, data scientists and business development experts who are keen to share some cool examples of work being done in this space, which we are loosely calling “OtherTech”. Following the presentations, you are invited to enjoy a selection of food and drink whilst networking with Intertech members, friends and colleagues, before we likely sidle up the road to Soho to continue the discussion!